Tuesday, July 17, 2013 ratings — Premieres: Perfect Score and Whose Line is it Anyway?. New episodes: America’s Got Talent, Extreme Weight Loss, and So You Think You Can Dance. Sports: 2013 MLB All-Star Game. Episode reruns: NCIS, NCIS: Los Angeles, Person of Interest, Hollywood Game Night, and Body of Proof. 8pm – Extreme Weight Loss: 1.1 in the demo with 3.45 million. 10pm – Body of Proof: (rerun) 0.7 in the demo with 2.97 million. 8pm – NCIS: (rerun) 1.3 in the demo with 8.62 million. 9pm – NCIS: Los Angeles: (rerun) 0.9 in the demo with 6.07 million. 10pm – Person of Interest: (rerun) 0.9 in the demo with 4.88 million. 8pm – Whose Line Is It Anyway? : (premiere) 1.1 in the demo with 2.86 million. 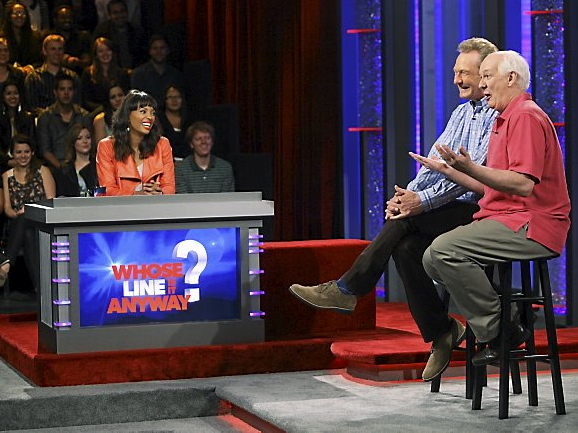 8:30pm – Whose Line Is It Anyway? : 1.1 in the demo with 2.95 million. 9pm – Perfect Score: (premiere) 0.4 in the demo with 0.98 million. 9:30pm – Perfect Score: 0.3 in the demo with 0.80 million. 8pm – 2013 MLB All-Star Game: (sports) 2.9 in the demo with 10.28 million. 8pm – Hollywood Game Night: (rerun) 1.1 in the demo with 4.03 million. 9pm – America’s Got Talent: 2.5 in the demo with 9.83 million. Or perhaps the alternative, spend time outside.